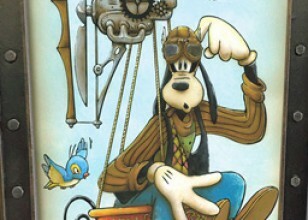 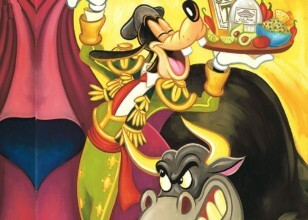 Goofy is a tall, anthropomorphic dog, and typically wears a turtle neck and vest, with pants, shoes, white gloves, and a tall hat originally designed as a rumpled fedora. 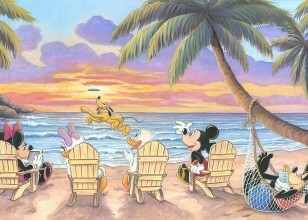 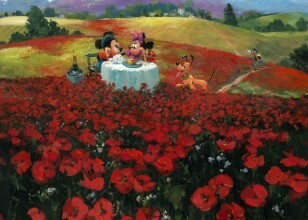 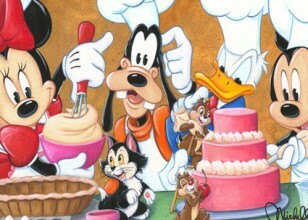 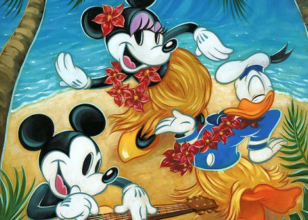 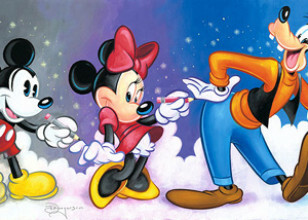 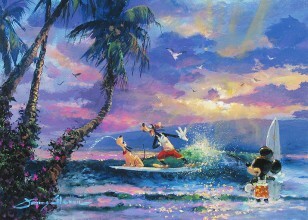 Goofy is a close friend of Mickey Mouse and Donald Duck and is one of Disney's most popular characters. 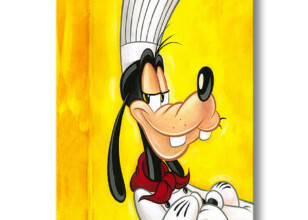 He is normally characterized as extremely clumsy and having little intelligence, yet this interpretation isn't always definitive; occasionally Goofy is shown as intuitive and clever, albeit in his own unique, eccentric way. 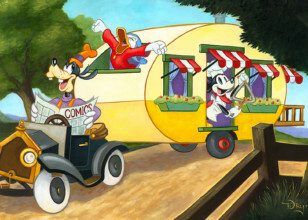 Goofy debuted in animated cartoons, starting in 1932 with Mickey's Revue. 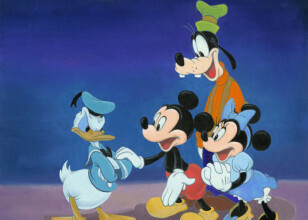 During the 1930s he was used extensively as part of a comedy trio with Mickey and Donald. 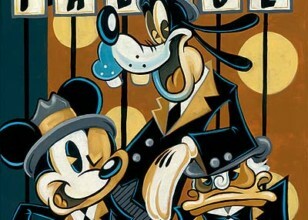 Starting in 1939, Goofy was given his own series of shorts which were popular in the 1940s and early '50s. 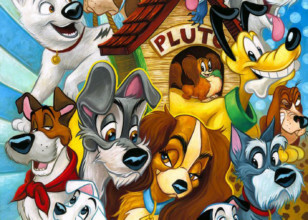 He also co-starred in a short series with Donald. 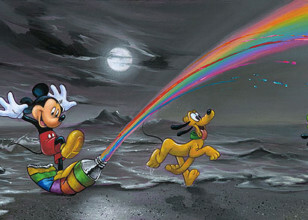 Four more Goofy shorts were produced in the 1960s after which Goofy was only seen in television and comics. 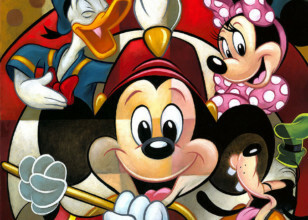 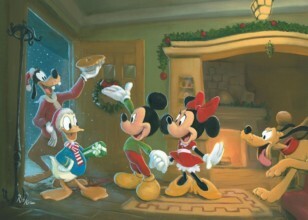 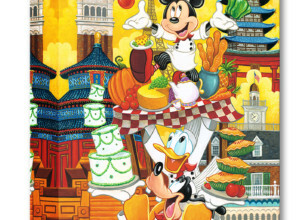 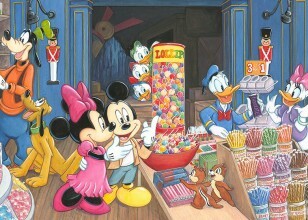 He returned to theatrical animation in 1983 with Mickey's Christmas Carol. 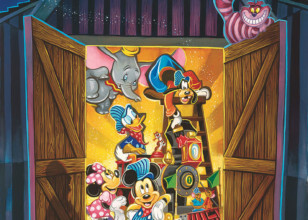 His last theatrical appearance was How to Hook Up Your Home Theater in 2007. 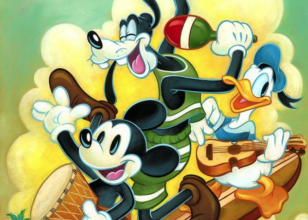 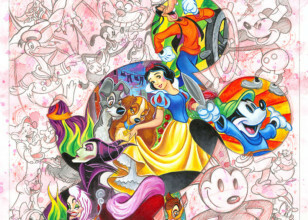 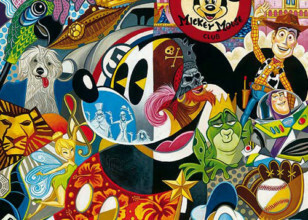 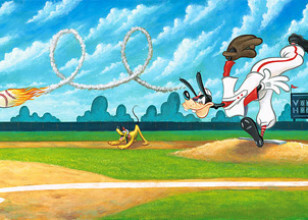 Goofy has also been featured in television, most extensively in Goof Troop (1992–1993), as well as House of Mouse (2001–2003) and Mickey Mouse Clubhouse (2006–present).